Many hospital emergency departments are overcrowded and short-staffed, with a limited number of available hospital beds. It is increasingly hard for emergency departments and their staff to provide the necessary level of care for medical patients. Caring for people with psychiatric disabilities raises different issues and calls on different skills. In Emergency Department Treatment of the Psychiatric Patient, Dr. Stefan uses research, surveys, and statutory and litigation materials to examine problems with emergency department care for clients with psychiatric disorders. She relies on interviews with emergency department nurses, doctors and psychiatrists, as well as surveys of people with psychiatric disabilities to present the perspectives of both the individuals seeking treatment, and those providing it. 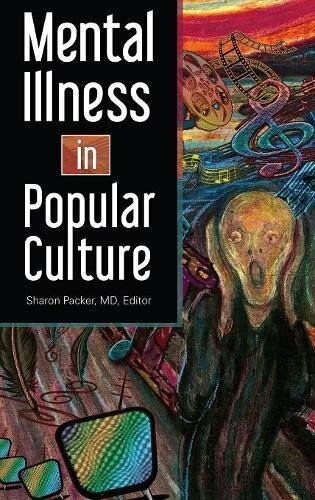 This eye-opening book explores the structural pressures on emergency departments and identifies the burdens and conflicts that undermine their efforts to provide compassionate care to people in psychiatric crisis. In addition to presenting a new analysis of the source of these problems, Dr. Stefan also suggests an array of alternatives to emergency department treatment for people in psychiatric crisis. Moreover, the author proposes standards for treatment of these individuals when they do inevitably end up in a hospital emergency department. Emergency Department Treatment of the Psychiatric Patient presents a thoughtful and thorough analysis of the difficulties faced by people with psychiatric disabilities when seeking emergency medical care. 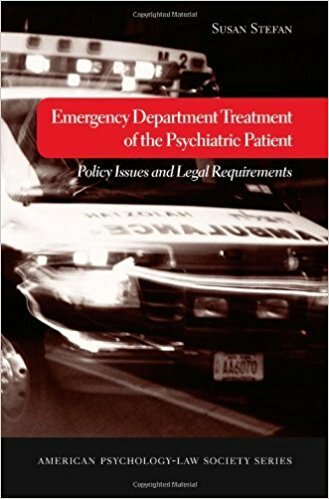 It is essential reading for anyone working in a hospital emergency department, as well as health care policy makers, and advocates and lawyers for people with psychiatric disabilities. 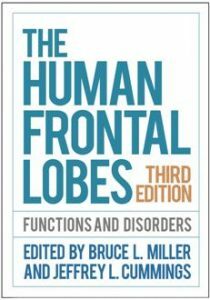 This authoritative work, now thoroughly revised, has given thousands of clinicians, students, and researchers a state-of-the-art understanding of the human frontal lobes–the large brain region that plays a critical role in behavior, cognition, health, and disease. Leading experts from multiple disciplines address the anatomy and chemistry of the frontal cortex, neuropsychological assessments of capabilities unique to the frontal lobes, the nature of (and possible treatment avenues for) frontotemporal dementia and related conditions, and implications for understanding and treating neuropsychiatric disorders, such as schizophrenia, mania, and depression. Illustrations include eight pages in full color. * Reflects a decade of important research advances in such areas as functional connectivity mapping of frontal and frontal-subcortical circuits. * Incorporates significant new information on frontotemporal dementia and other neurological disorders. 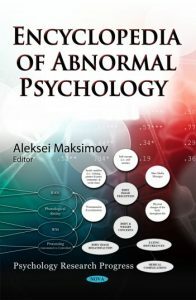 * Expanded section on neuropsychiatric disorders, with new chapters on apathy, dissociative states, and antisocial behavior. * Chapters on salience networks, normal brain aging, white matter diseases, and clinical trials. * Increased attention to brain processes involved in moral reasoning, empathy, decision making, and other key human capabilities. “Being crazy” is generally a negative characterization today, yet many celebrated artists, leaders, and successful individuals have achieved greatness despite suffering from mental illness. 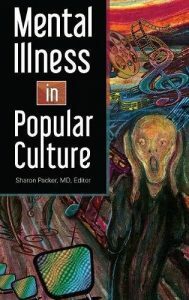 This book explores the many different representations of mental illness that exist―and sometimes persist―in both traditional and new media across eras. 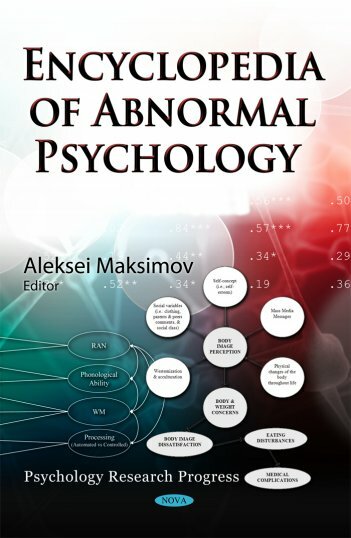 This text presents current research in the field of abnormal psychology. Topics discussed include self-harm in adolescence and young adulthood; depression and a parenting intervention; a hermeneutic approach to culture and psychotherapy; psychotic symptoms in children and adolescents; and much more. Recent years have witnessed considerable growth in the field of psychoneuroimmunology, which describes how psychological factors, such as stress and depression, impact the neurological and immune systems. Research increasingly indicates that psychological states play a key role in the development and exacerbation of inflammatory diseases such as heart disease, diabetes, multiple sclerosis, Alzheimer’s, and autoimmune disorders. In this book, editor Kathleen Kendall-Tackett and an elite group of researchers explore the ways physical and psychological stressors such as poor sleep, PTSD, and depression, trigger the inflammatory response and increase the risk of disease. They approach this material from a variety of perspectives. 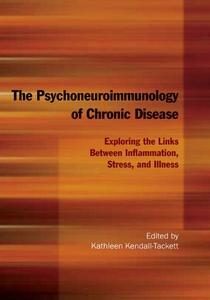 Chapters in Part I describe the biological processes involved in inflammation, focusing on both the typical bodily response to threat as well as on the long-term deleterious effects of stress upon the immune system; while chapters in Part II examine the role of psychosocial stress in disease etiology. Throughout, chapter authors present evidence of connections between mind and body, and emphasize the need for improved communication between physicians and mental health care providers. 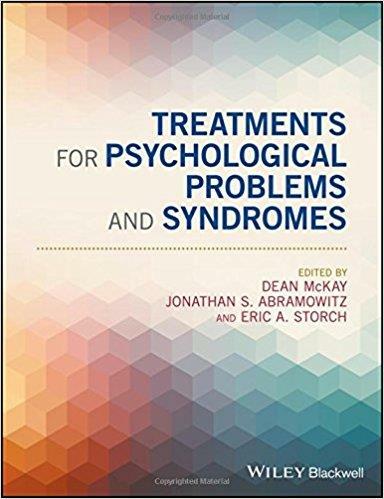 This book will be a valuable resource for researchers as well as practitioners who hope to share the benefits of these findings with their clients. This welcome resource traces the evolution of self-concept clarity and brings together diverse strands of research on this important and still-developing construct. Locating self-concept clarity within current models of personality, identity, and the self, expert contributors define the construct and its critical roles in both individual and collective identity and functioning. 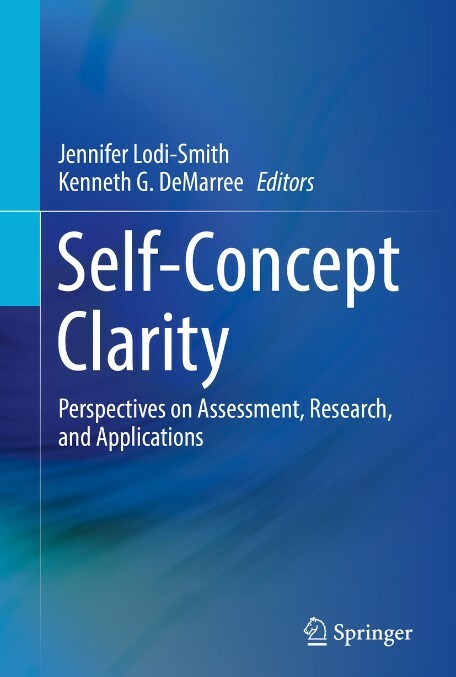 The book examines commonly-used measures for assessing clarity, particularly in relation to the more widely understood concept of self-esteem, with recommendations for best practices in assessment. In addition, a wealth of current data highlights the links between self-concept clarity and major areas of mental wellness and dysfunction, from adaptation and leadership to body image issues and schizophrenia. Along the way, it outlines important future directions in research on self-concept clarity. · Situating self-concept clarity in the landscape of personality. · Development of self-concept clarity across the lifespan. · Self-concept clarity and romantic relationships. · Who am I and why does it matter? Linking personal identity and self-concept clarity. · Consequences of self-concept clarity for well-being and motivation. · Self-concept clarity and psychopathology. 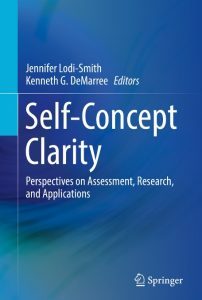 Self-Concept Clarity fills varied theoretical, empirical, and practical needs across mental health fields, and will enhance the work of academics, psychologists interested in the construct as an area of research, and clinicians working with clients struggling with developing and improving their self-concept clarity. 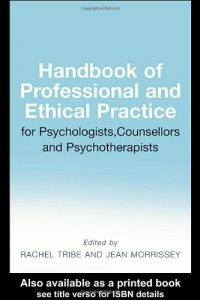 Closer regulation of psychological counselling means that an awareness of the professional, legal and ethical considerations is vital. · research, supervision and training. This innovative Handbook provides a supportive guide to the major professional, legal and ethical issues encountered by trainees on counselling, clinical psychology and psychotherapy courses, as well as providing an invaluable resource for more experienced therapists and other members of the helping professions. Completely revised to reflect new DSM-5 criteria, First Aid for the Psychiatry Clerkship: Fourth Edition is your high-yield insider’s guide to the psychiatry rotation, and gives you the core information you need to impress on the wards and earn honors on the clerkship exam. 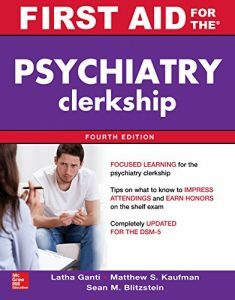 Peppered with mnemonics, ward tips, exam tips, and integrated mini-cases, the fourth edition of this best-selling book focuses on helping you hone in on, and remember, the most important concepts for the clerkship and the exam. 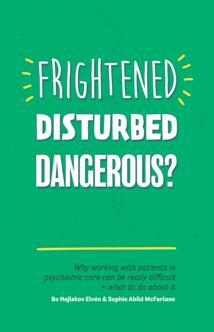 Patients in psychiatric care can behave in ways that can be alarming for staff, and difficult to respond to. The authors of this practical and imaginative book explain why patients may behave in these ways, and offer a toolkit of ways to respond effectively and kindly. With many everyday examples of how to keep the space positive and safe, and patients calm, this book could transform your working life. “An overwhelming number of persons suffer from mental health problems across their life span. 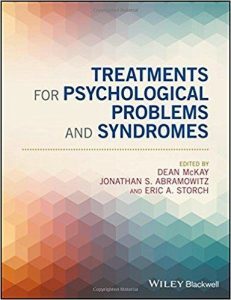 In this important book, the authors describe the critical issues in the psychiatric care of individuals with autism. Written by a father (who is an experienced psychologist), and his daughter (who has suffered from psychiatric disorders), it gives a detailed account of the difficulties faced by persons with autism and related disorders, especially as they transition into adulthood, and sheds light on the challenges faced both by patients and staff. I enjoyed reading the book and recommend it both to parents and caregivers of persons with autism and other developmental disabilities.” – Mohammad Ghaziuddin, MD Professor of Psychiatry, University of Michigan, Ann Arbor, USA.